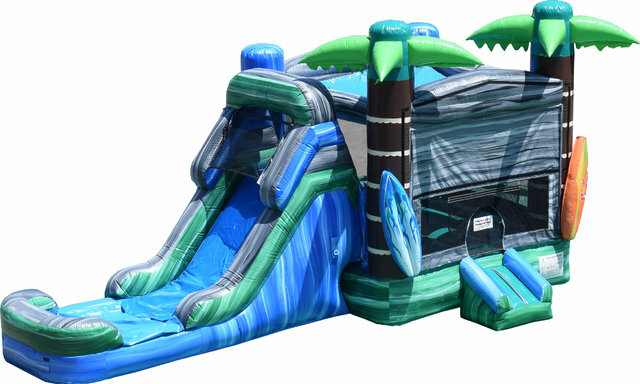 Water Slide Combo - "Surfers Cove"
The ultimate Florida combo Bounce House Rental is here, this Water Slide option of the unit is made to entertain! 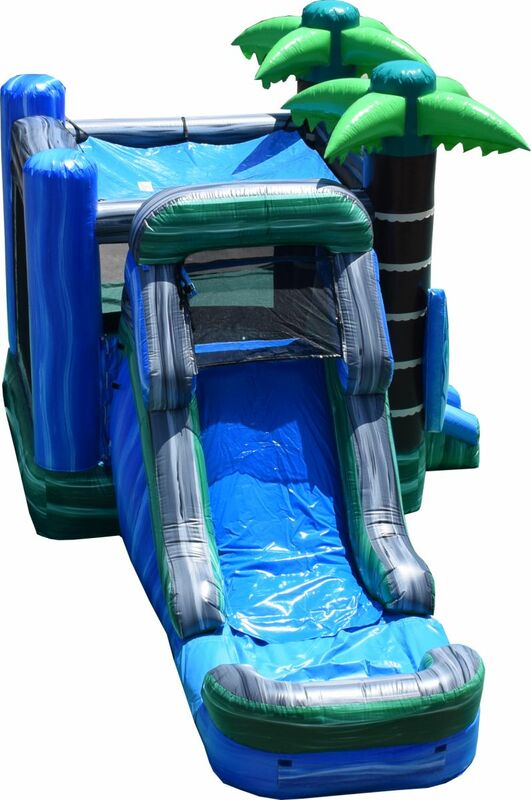 This bounce house combo has all of the flash for any event or party you are having. The Surfers Cove combo has surf boards, palm tree palm to go along with the marble blue, green and grey top of the line commercial vinyl material. One thing that makes this comb a great choice for your party is the safety features included such as the front step, netting on the top of the slide to keep kids from jumping and getting hurt, as well as the splash pad with wall landing. This landing is not a pool, instead is splash pad that fills up with a limited amount of water. 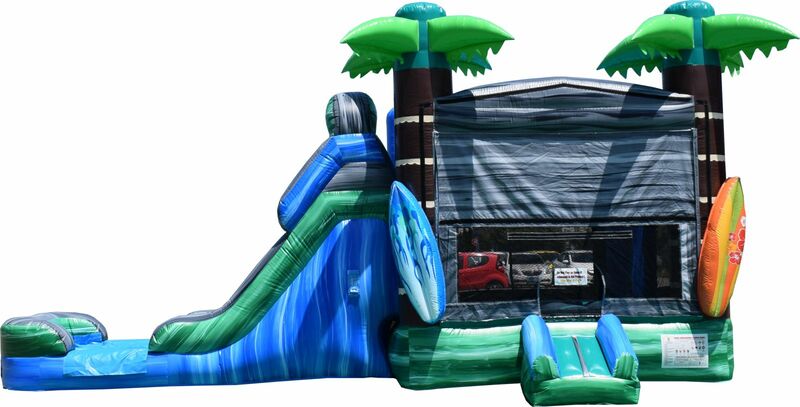 Reserve this Water Slide Combo today to impess your guests and enterain the kids for your event! You can also add on a popcorn machine to add to the activites and entertainment for everyone!